Just a short note on a basic principle. I have heard it said that life is actually an inevitable consequence of the universe. I can think of one reason why and thought I would share. Producing offspring to continue the cycle is the key because by definition anything that does not reproduce itself will not continue. So it isn’t really that surprising that given time any mechanism that keeps reproducing itself would still exist today. It is built into the concept of a biological life cycle, it must be repeatable but also design to make copies that continue the cycle of life. The continual challenge is that life cycles are anything but inevitable. Every life form that wants to exist in the future must create its own self fulfilling prophecy to be considered life. It must reproduce itself time after time otherwise it becomes extinct, just like a fire running out of oxygen. It is a numbers game in competing for scarce resources and based on energy cycles. Starting with stars filled with molecules that are competing for energy. These molecule form bonds with other matter releasing energy and reaching a more complex higher state at the same time. This provides a recipe pressure for change to which you just add time. Billions of years can be long enough for this energy cycle and competition for energy to eventually lead to much more complex organisms like bacteria, viruses and then plants and the rest of us. It seems strange at first but then I read a book called Stardust (The video above “We Are Dead Stars” is a great synopsis) which explained exactly how stars provide ecosystems for energy in which the elements that make up the universe are formed. That blew my mind. The amazing complexity of life is literally created inside stars and, as I realised later, is exactly the process of evolution we have all come to know. We just think that evolution only applies to life. We do not apply it equally to apparently inanimate objects and particularly things we can not see like molecules. The fact remains that the laws of the universe encourage competition for energy. It is what drives the lifecycle of stars and the creation of the elements and ultimately what drives evolution. This article is about a summary of the idea I am developing that explains evolution at many different levels, from physics, to chemistry, biology and beyond. Hopefully later I will cover it in more depth. For now I just want to show how it all fits together. When I extend the same principle of competition for energy and the idea that this competition invariably leads to a more complex organic result it seems natural that you would end up with molecules that connect with each other in more complex ways. Just like the constituents of molecules are rearranged through the exchange of energy to make more complex molecules. We know that shapes like the cell wall and helical structures similar to the basis of DNA are actually quite common in nature and can be easily created in the lab. As these structures became more and more common and developments like extra water on the planet made it easier for these structures to intermingle it could certainly lead eventually to ever more complex structures and eventually life. The full story however is not the point of this article. Life may exist on our planet but we still cannot explain exactly how these increasingly complex structures lead to life that actively competes. I have many theories but that is for another time. For now it is about the cycle. Life requires a cycle that repeats itself. Philosophically I don’t know when we term that something is alive. A star has a lifecycle but do we consider it alive. I believe the universe is around 13 billion years old with our planet just 6 billion years and complex life existing for I think less than 1 billion years. So maybe for 12 billion years there was life in terms of lifecycles it was just incredibly simple and more automatic and mechanical than the incredibly complex life that we are so used to. Just a thought I have had for a long time. Sometimes breaking down the complex concepts like evolution require simple thoughts to be expressed so you can see where they lead. Here’s a fascinating insight. 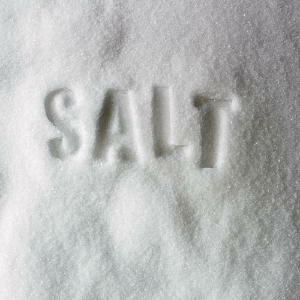 High Blood pressure could have some relation to your ability to balance the level of salt in your body. That’s the advice from Marc Pelletier discussing research on blood pressure on episode 103 of Dr Kiki’s science hour podcast . Marc explains that his research indicates that high blood pressure could be a problem of salt balance and water balance. The brain having more power to regulate water than the kidneys. My interpretation is that it could be similar to the way sugar regulation is so critical to diabetes. Essentially diabetics have trouble regulating the sugar levels in blood and cells. It is fixed by helping the body regulate sugar. Activity, running around, plays a key role by improving levels of an insulin specific sugar receptor. Diabetes has wider ranging implications just because sugar regulation is faulty. So activity can fix sugar regulation and prevent so many of the negative effects of diabetes. I’m wondering if salt and high blood pressure could have a similar story. Could activity help in a similar way. The reason activity helps diabetes is because activity forces the body to regulate sugar well. You see this in all sports research on making people run fast or far. The improvements always come from preserving sugar within cells. So obviously each improvement that makes you run further requires that your body be better at storing and preserving cell sugar. So a fit person can’t have diabetes, type II at least, because they are opposites. The take home lesson Diabetics can’t control their cell sugar levels well while fit people can. So could the same be true for high blood pressure. Activity forces the body to regulate salt. Because salt is key in being good at sports. It makes your nerves work properly, encourages the right type of chemical reactions and basically makes the body work properly. Low salt might also be one of the causes of cramps. So you need salt to be in the right places in the right amounts through out your body to be fit and perform well when running around. 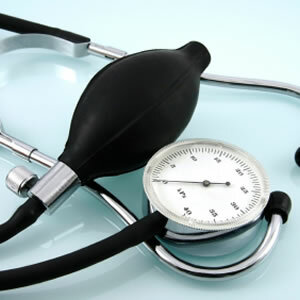 Exercise is known to lower high blood pressure. It makes sense that this could be one of the ways it works. The idea being that someone who runs around a lot and pushes themselves physically will be able to regulate salt in their blood and cells very well and blood pressure will be normal. At the same time those people who don’t run around often develop high blood pressure because their bodies aren’t being pushed to regulate their salt well. So the blood and cell salt levels aren’t controlled and bad things happen. That’s the theory I take from this. I hope it makes sense. Now I can look at investigating it. I have just found another clue to the question why salt raises blood pressure. The explanation is that salt triggers adrenaline which constricts blood vessels and raises blood pressure. Similar results are found in pubmed and thankfully this all backs up the concept that to regulate your salt levels is to regulate your blood pressure.